Though Leila Fazlicic holds multiple degrees, speaks five languages, and has thousands of hours of clinical acupuncture training and experience, none of that is the real reason she is such an outstanding Acupuncturist. Rather, it is her unique combination of expertise, passion, and genuine empathy—born out of her time as a war-time Nurse in Bosnia—that makes her so effective at helping her patients achieve their health and wellness goals. Leila brings this combination of skill and empathy to her daily practice at Ravenswood Chiropractic & Wellness Center, where she is committed to maintaining the communication and mutual understanding that is so vital to helping her patients thrive. By truly listening to their needs, she is able to incorporate both Eastern and Western medical philosophies to create individualized solutions for each person she treats. As a result, her patients can better control their pain and lead healthier, happier lives. Armed with a nursing degree and a desire to help others, Leila began her career as an RN during the war in her home country of Bosnia. While treating severely wounded patients in an improvised hospital in Mostar, she quickly developed a passion for healing and for treating pain management. Driven by this passion along with a new sense of urgency, she went on to earn a Physical Therapy Degree from the University of Sarajevo, where she learned as much as she could about helping patients achieve pain-free movement and live their lives to the fullest. Upon moving to the United States to continue both her education and her career, Leila worked in various medical clinics while reviewing a number of academic medical programs and considering her next step. Her focus on healing and pain management ultimately led her to study acupuncture, which she chose to pursue at one of the oldest colleges offering Traditional Chinese Medicine in the country, the Midwest College of Oriental Medicine in Chicago, Illinois. After graduating at the top of her class and earning both her LAc degree and her Master Level Certificate in Acupuncture, Leila opened her own acupuncture practice in 2010. Not content to stop there, she has continued pushing herself to learn and grow as both a practitioner and a scholar. Among her achievements is her success as a National Acupuncture Detoxification Specialist, for which she uses auricular acupuncture to relieve stress, address addictions, and improve overall patient health. She also maintains a professional membership with the National Certification Commission for Acupuncture and Oriental Medicine (NCCAOM). 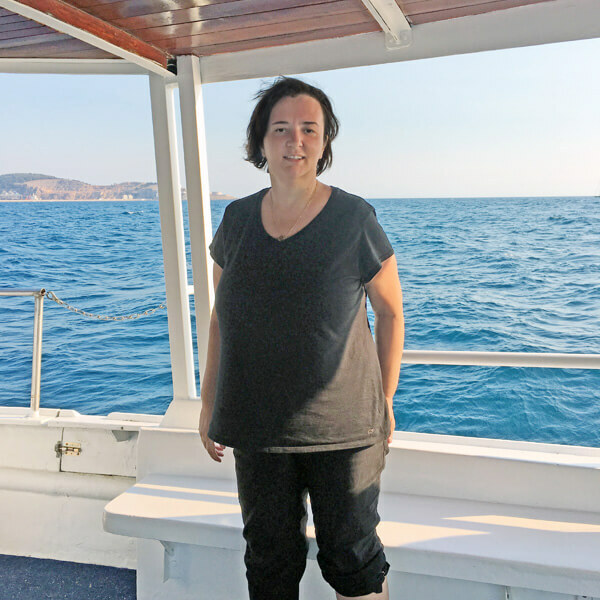 While Leila’s clinical interests are pain management, stress, and weight control, she remains motivated to continue broadening her horizons and constantly discovering new ways to help her patients. Leila Fazlicic’s story is an empowering one, and that’s part of why she is so passionate about using her knowledge and experience to empower others as they seek to achieve optimal health and wellness. In addition to practicing at Ravenswood Chiropractic in Chicago as an acupuncturist and a Health and Wellness Coach, she has published several books and numerous articles on acupuncture and healthy living. With her ability to speak Bosnian, Spanish, Croatian, Serbian, and English, Leila also loves learning about new cultures and building connections with friends both old and new.